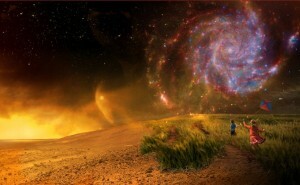 The previous blog looked at what alien life could be like. This time let’s take a look at the possibilities of life elsewhere in the universe in a little more detail. Perhaps surprisingly there are a quite a few studies on the topic undertaken by eminent scientists and philosophers. One thing is for sure: the existence of life elsewhere [albeit a long way away, at least from our perspective of the universe] is a subject which enters almost everyone’s mind sometime during their lifetime. Recently high-ranking NASA scientists proclaimed that humanity is on the verge of discovering alien life. Not so long ago the European Southern Observatory announced the discovery of three Earth-like planets orbiting an ultra-cool dwarf star just 40 light years from Earth. Planets have usually been found through two methods: watching them transit across a star (which causes a dimming that can be measured from Earth) or examining the gravitational wobbles the planets induce as they orbit around their parent star. Recently, however, a method called “verification by multiplicity” permits astronomers to quickly identify multiple-planet systems. Estimating the total number of planets in the universe is difficult, but one study suggests that in the Milky Way, each star has an average of 1.6 planets, which will give 160 billion alien planets in our home system alone. As of March 2014, more than 1,700 exoplanets have been confirmed. So we have some way to go yet. But the true number of alien worlds may be quite a bit larger than 160 billion. Indeed, a great many will have no host star at all. Last year, a team used microlensing observations to discover a huge population of Jupiter-like planets that zoom through space unbound to a parent star. These bodies likely outnumber “normal” alien worlds with obvious parent stars by at least 50 percent, according to the 2011 study. So it appears that planets are everywhere, and not only around stars. For those of us clinging to the notion that Earth is special, these and a raft of other recent exoplanet discoveries may be tough to stomach. So there are likely quite a few civilisations out there, based on current knowledge and techniques of exploration. So how can contact be made? Impossible when you look at the distances involved and our current space flight technology. This, of course, assumes our view of the universe is fully developed. We can’t travel faster than light speed, can’t get anywhere near it at the moment, and we cannot bend space or enter other dimensions which may assist universal travel. But that may not be the end of the story. There are theories which suggest getting to Alpha Centauri, for example, could only take a few months. More about warp drives and bending space-time in a future blog. Milijun is the first instalment an action-packed sci-fi alien invasion series. 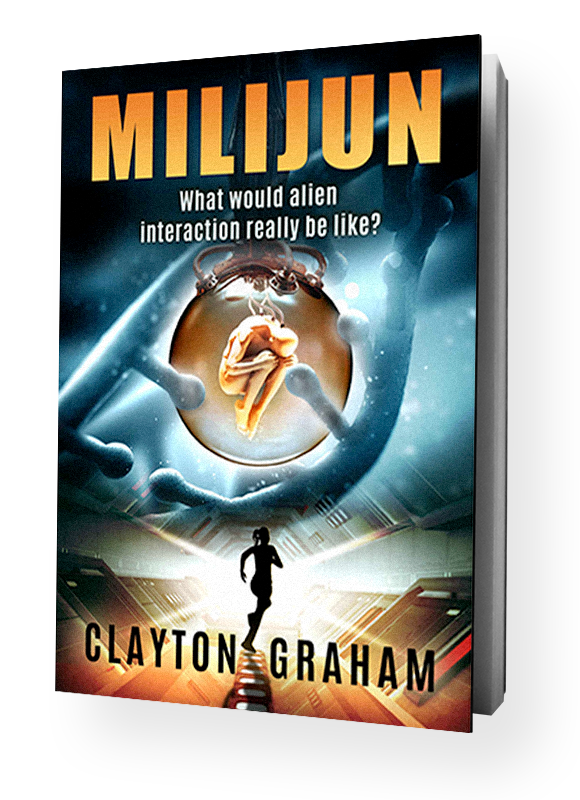 If you like tales of first contact, secret military operations, and the people caught in the middle, then you'll love Clayton Graham's fast-paced sci-fi thrill ride. Buy Milijun to discover the future of evolution today! 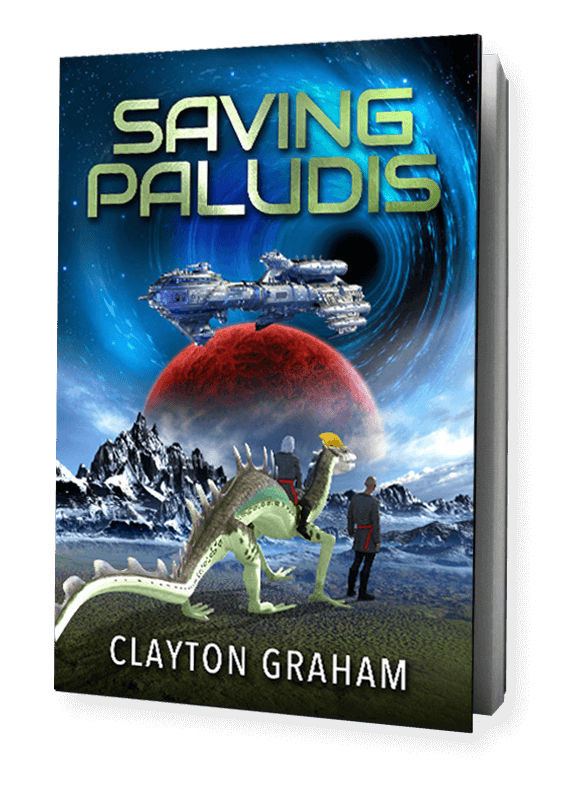 When scientists on remote planet Paludis discover a means to dramatically improve the way mankind explores the universe they unwittingly open a Pandora’s Box of mystery, deception and conflict. Subscribe to my newsletter and enjoy giveaways, promotions, and upcoming releases, including a welcome gift of 'Silently in the Night' after joining.